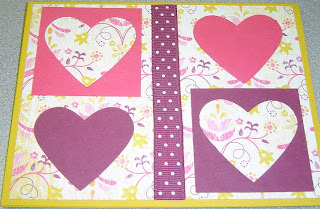 Punches are fun and flexible tools for embellishing cards. Flexible, because there are so many different ways to use them. If you're just starting out, however, it may seem overwhelming. So here are the basics about using punches. There are several different types of punches, depending on their purpose or difference in manufacturer's design. My personal favorites are Martha Stewart and Stampin' Up! punches, because of the variety of designs and the sturdy construction. My least favorite are the little thumb size push button punches, because they are just harder to use on anything except thin paper. If you're combining punching with stamped images, stamp first. It's much easier to center the punch around a stamped image than to aim for the previously punched piece. Tip: Turn the punch upside down so you can see where the cut lines will be and have more control over where you're punching. Corner punches have a notch where the corner of the paper goes. Being careful to place the corner squarely in the notch will ensure a clean cut. 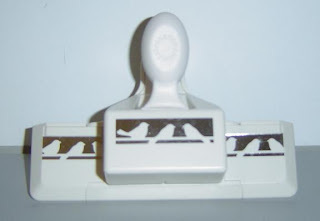 Slot punches can be used to thread a ribboon through a tag or the front of your card. Border punches allow for a longer continuous punched image. 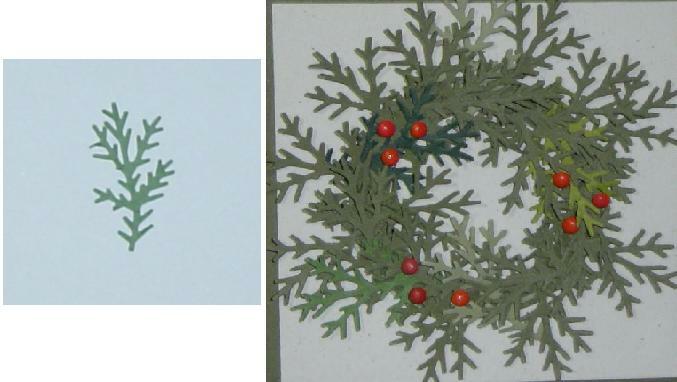 To use a border punch, after first punching the image, line the punched image up with the design to the left or right of the punching mechanism. You can click the image to enlarge, but on the left are the first set of punched birds, and on the right I have lined them up so they exactly cover the silhouette image. Repeating this process allows you to punch a continuous image the entire length of your card. If your punches get dull or your images start having ragged edges, punch a piece of aluminum foil a few times to sharpen the edges. You can "lubricate" your punch by punching a piece of waxed paper. For some great examples of punch art, check out these previous tutorials: Punch People, and Punch People II. Please leave a comment with any 101 level tips you have for using punches. I would love to hear what you would like to see featured in future Tuesday Tutorials. Please leave a comment or write me at kate@operationwritehome.org. Love that cat and bird card! I have a fair amount of large punches and the ones with a lever of some sort are so much easier to punch than the ones with just the punch itself! My husband sometimes has to pitch in and use my large circle punch for me. 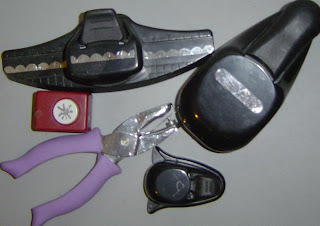 I enjoyed your post on paper punches, thanks for sharing these tips with us! This is an excellent tutorial and I wish I'd seen it sooner! I had trouble with border punches until I saw a video about how to use them!! I'm a huge collector of punches. I prefer them to a die cut machine because they don't require any set up or attachments. One tip that's helped me is to take some index cards and make a booklet of all of my punches. I just punched each shape on one of the cards. 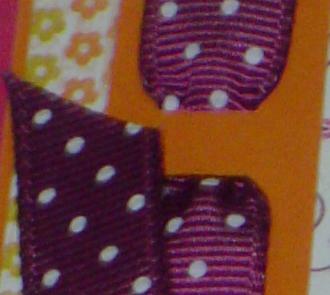 I then labeled circles, squares, etc with their size so I won't replicate what I already have if I take it shopping. 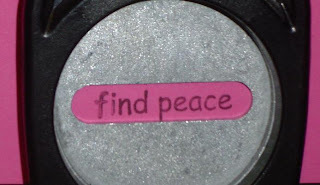 Also, it's great to use as a template to see if your stamp will fit within the size of the punch. Thanks for a great tutorial, Kate. You taught an old dog some new tricks. 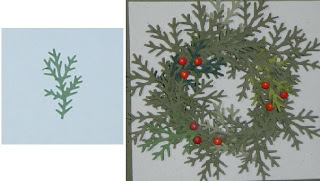 :) I've been paper crafting forever and a day, but still picked up some good ideas from you. Stamp first, THEN punch. . . fantastic. . . I will never go crosseyed trying to center a stamped sentiment ever again. Brilliant! Thank you for sharing this tutorial! Great tips on using punches Kate! I loooove border punches. 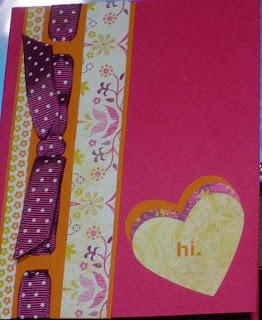 None of my corner punches have a visible notch in them though - they must be a different design to the one in your sample.I don't use them much because they're an easy way to ruin a finished card when the paper slips off-kilter! To make the smaller push button punches easier to use, and to save your thumb, use a flat piece of wood (like the handle of a rubber spatula) and push with both hands.